Well put! 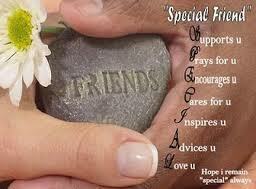 I never broke down friendship in those terms since I never had many friends (many acqaintances) before joing life. We certainly have a common bond! LIFE really allows to connect with people we never thought we would and develop great friendships. Kristen, I appreciate the depth of your writing as it makes me think about the subject in a deeper way. Keep up the great work! I appreciate the comment George, the more I study the more I hunger to learn more! Thanks for all you continue to do! Great post Kristen! Really makes you think. Thanks Brad, you and Katie have become such great friends through this LIFE project! Proud of you! Great blog Kristen! I am so blessed to have the friendships I have developed through the LIFE Team community! I thank God so much for the friendship that we have, I treasure it very much. I was cracking up watching the video! So great-that’s what it’s all about! I agree Joanne! You and Kurt have become such amazing friends and I am blessed to have you in my life! Buzz was a true and great friend Dad! I remember him fondly. I am grateful for you and Mom teaching me the value of friendship. Love you! Awesome Bill! You are exactly right! What a blessing you had a friend like that. May we all continue to be that sort of friend to others. Thank you for such words of wisdom on friendship. Thankful for your friendship Imelda!